Psalm 126. Countertenor Andreas Scholl and the Australian Brandenburg Orchestra with Paul Dyer. or bring the sun back. didn’t nobody stop usin my tears to wash cars. I let sorry/ didn’t meanta/ & how could I know about that? Take a walk down a dark & musty street in brooklyn! & I won’t be sorry for none of it! Letta sorry soothe your soul/ I’m gonna soothe mine! beatin my heart to death! & their ways I will play oliver lake loud! I LOVED YOU ON PURPOSE, I WAS OPEN ON PURPOSE! & I’m not even sorry bout you bein sorry! just dont give it to me! The mining industry has always been the backbone of the South African economy, and it still is. A healthy and sustainable mining sector should accordingly form part of the focus of our efforts to heal this country and its people. Nevertheless, the history of mining in South Africa has been and continues to be characterised by the oppression and exploitation of workers under the policy of the migratory system. The new dispensation of 1994, rule under the African National Congress, did not assist much in changing the conditions at the mines. It continues to turn a blind eye to the unjust wages and living and working conditions of miners. Six years after the Marikana massacre we have still seen minimal change for mineworkers and mining communities. Although much has been written about the days leading up to 16 August 2012 and how little has been done, few have analysed the policies and system that make such a tragedy possible. Lonmin Platinum Mine and the events of 16 August are a microcosm of the mining sector and how things can go wrong when society leaves everything to government and “big business”. 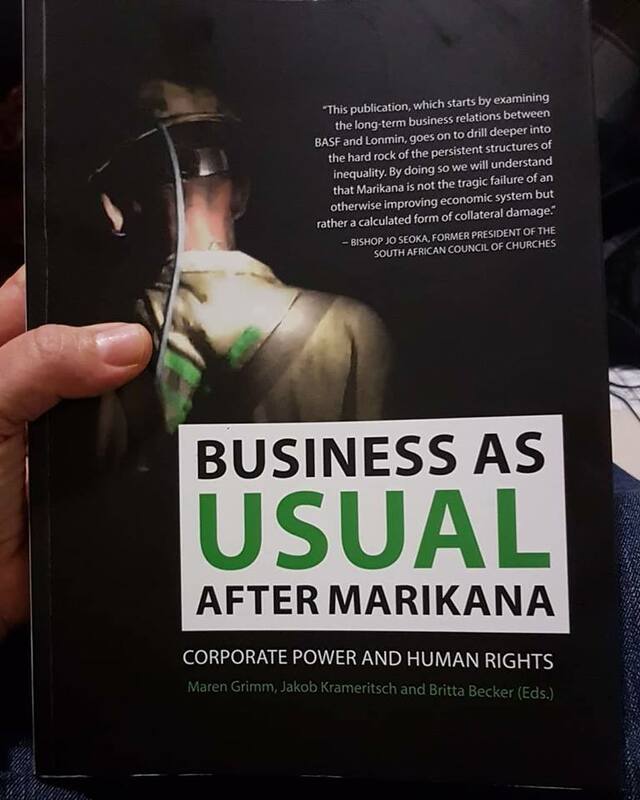 Business as Usual after Marikana is a comprehensive analysis of mining in South Africa. Written by respected academics and practitioners in the field, it looks into the history, policies and business practices that brought us to this point. It also examines how bigger global companies like BASF were directly or indirectly responsible, and yet nothing is done to keep them accountable. 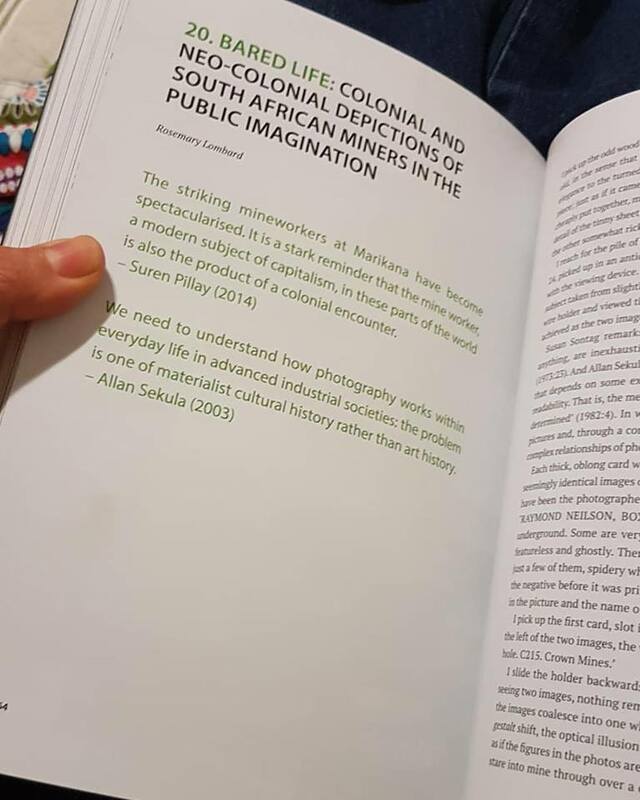 I have an essay in this book – if you’re interested, you can get hold of a copy via Jacana. The book also appears in German as Zum Beispiel BASF. Über Konzernmacht und Menschenrechte, published by Mandelbaum.